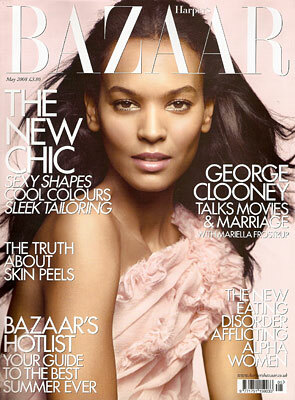 Following more than ten years in the modelling industry, Liya Kebede remains at the top of her game. Born in Addis Ababa, the capital city of Ethiopia, Kebede was discovered by a film director at the French Lycee in Addis. Kebede put modelling plans on hold to complete her schooling before moving to Paris, followed by Chicago and finally New York where her true modelling potential was realised. 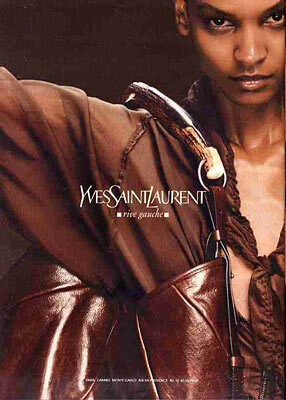 Kebede's first big break came in 2000, when casting director James Scully cast her in the Gucci Fall/Winter show. In an interview with I-D magazine, Kebede recalls, "The day that changed my life would have been doing the Gucci show with Tom Ford. He (Scully) saw me at a show and called me in because he thought that Tom would really like me. I was super nervous. But he was really lovely and we ended up working together for a long time after that. Editors saw me, started calling and I started working." Scully in turn lists Kebede as one of his all-time favourite models in an interview for the Cut; "An all-time eternal favourite for me - she's an exotic Grace Kelly. Models work for years to develop the poise, grace, and style that she came to the business already equipped with! It still shocks me that I sometimes have to sell her to a client, but everytime she walks in the room, she always proves me right." In 2002, Paris Vogue editor Carine Roitfeld dedicated an entire issue of the magazine to Kebede. 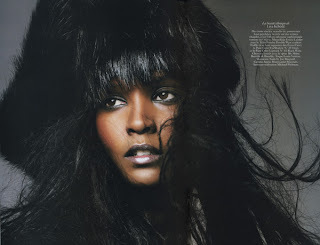 Speaking to I-D magazine, Kebede cites that "the magazine made such an impact. I appreciate Carine for having done something so bold." 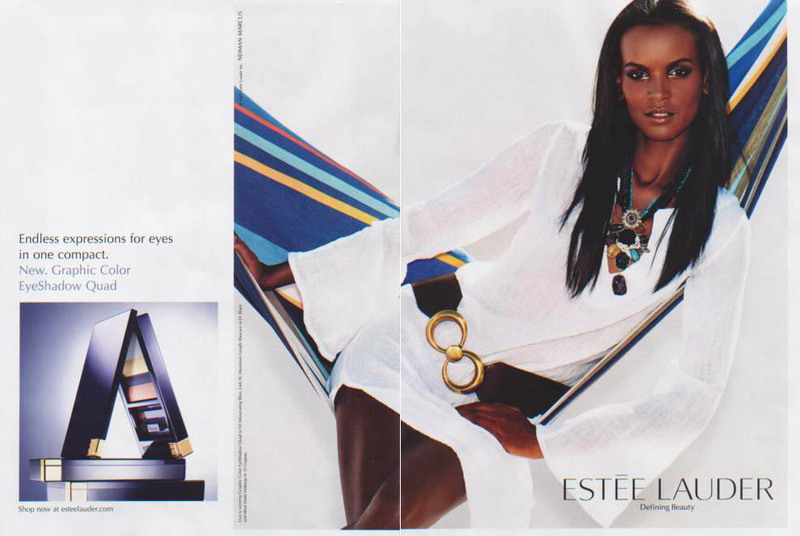 In 2003, Kebede made further inroads, becoming the first woman of African descent to sign a highly coveted cosmetics contract with Estee Lauder, reportedly worth $3 million. 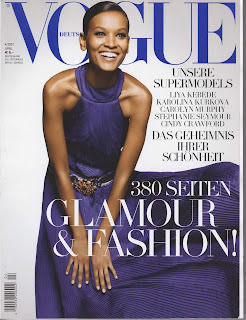 Aerin Lauder explains Liya's appeal in an interview with US Vogue; "We didn't just hire her because she is beautiful. We loved Liya because she has so many facets to her personality. People are finally realising that she's a spectacular individual. She has big things ahead of her." 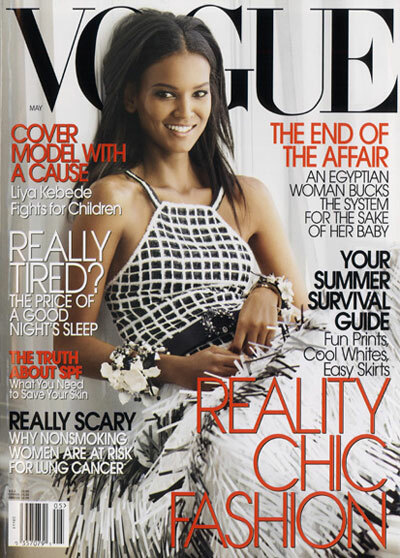 In May 2005, Kebede achieved a rare feat by appearing solo on the cover of US Vogue with the headline "Cover model with a cause." The accompanying feature article on Kebede, profiled her work with the World Health Organisation as their Goodwill Ambassador and her efforts to raise awareness for the difficulties facing women and children in third world countries. In the Editor's letter, Anna Wintour states, "It's very gratifying that Kebede, who has long been a model of the highest rank, should come into her own this way. This is her moment, and it has not arrived by virtue of outsize fabulousness. She is beautiful, professional, and substantial, which makes her not just a model but a role model." As a maternal health advocate, Kebede set up the Liya Kebede Foundation, a movement dedicated to reducing maternal and infant mortality in developing countries. In 2007, Kebede created a sustainable line of children and women's clothing called Lemlem meaning to bloom in Amharic, with the clothing being produced by traditional Ethiopian craftsman and weavers. 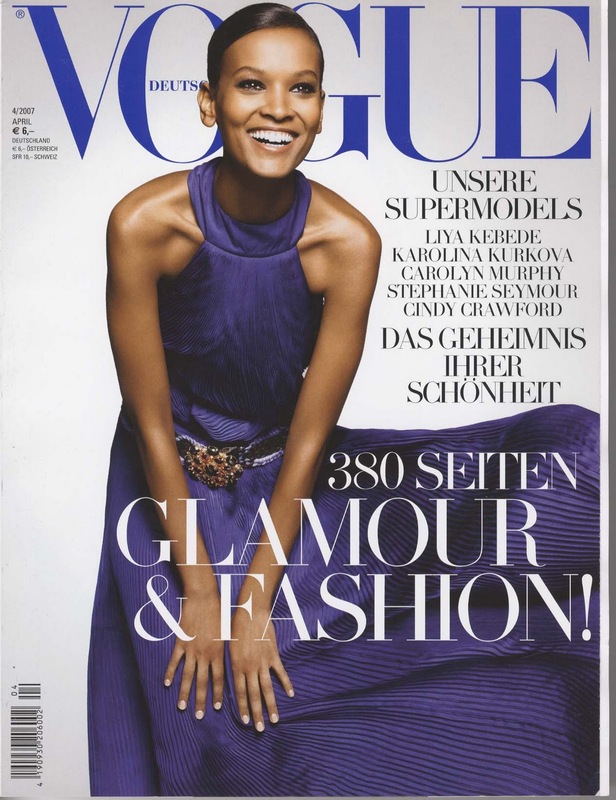 In an interview for US Vogue, Kebede explains; "We're employing them so they can be self-sufficient, so they can send their children to school or rise from poverty. It's always better to teach people to sustain themselves." In recent years, Kebede has discovered another passion in acting, appearing in smaller roles in the Lord of the War with Nicholas Cage and The Good Shepherd with Robert De Niro. 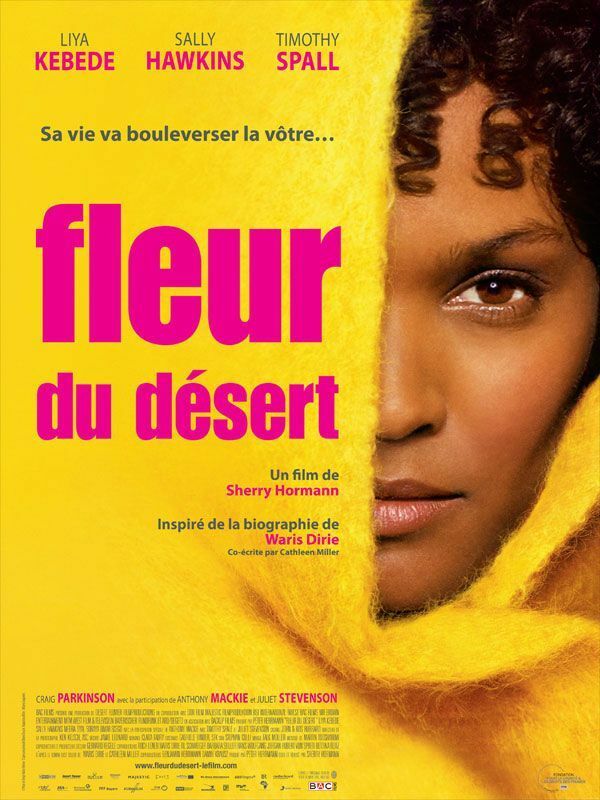 It is her performance however in the Desert Flower playing the lead role based on the life story of model Waris Dirie, which is earning Kebede international acclaim. 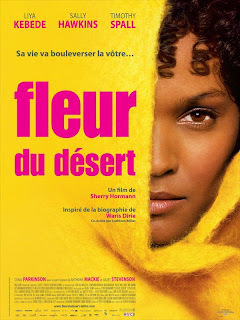 The film's arc follows the triumphs of Dirie's modelling success to the devastating effects of female genital mutilation which Dirie underwent as a child. Kebede's performance has been critically lauded with her being awarded the Chopard trophy at the Cannes Film Festival. The Chopard award was created in 2001 in order to celebrate the talents of the two young actors called the male and female revelation of the year. Previous recipients of the award have been Marion Cotillard, Audrey Tatou, and Gael Garcia Bernal. Kebede is currently filming Black Gold alongside Antonio Banderas and Freida Pinto. Liya Kebede is without a doubt my all time favourite model. Her advertising campaigns for Gucci, Yves Saint Laurent, Balenciaga, Lanvin, Givenchy, Dolce Gabbana, and Louis Vuitton are timeless and breathtakingly beautiful, whilst her covers and editorial appearances for US Vogue, Harpers Bazaar, W Magazine, Numero and I-D are amongst my favourites. It is however Kebede's contributions beyond the world of fashion which set her apart and make her truly memorable.